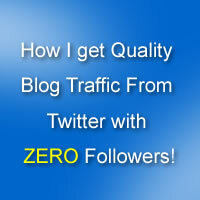 Get Quality Blog Traffic From Twitter with ZERO Followers! 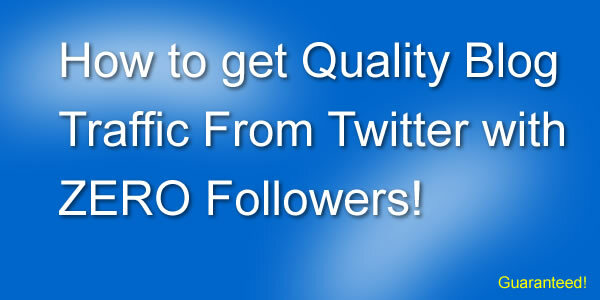 →How to get Quality Blog Traffic From Twitter with ZERO Followers! How to get Quality Blog Traffic From Twitter with ZERO Followers! In today’s post, we are about to see how to effectively get quality traffic from Twitter to your blog posts even if you have ZERO followers. Naturally, the more followers you have on Twitter, the more traffic. If this is true, then it’s common sense to think that zero followers means zero traffic. But what’s the unexplained trick behind having more traffic with zero followers? Well, it’s not about using tools like JustRetweet, EasyRetweet, etc (which of course are great tools) The issue though with such tools is people tweet or retweet your text for the sake of the reward attached to it. The simple experiment is that if you offer less credits or points (the reward on these retweet tools), members pay less attention to your message. In order words, the more the credits offered, the more the tweets you get. However, in the following details, we see how people develop interest in your text and tweet it based on its usefulness and relevancy. It all happens on your blog posts! I think now you are beginning to see where we are going. We want to add some spices and ingredients to our blog posts that will cause our readers to jump on them with a tweet click. You will not need to signup to an app somewhere where you’ll be expected to copy and paste your post titles or URLs. Once you hit the ‘publish’ button on your dashboard, just watch and see (while you promote your posts) as the tweets keep rolling, generating more relevant traffic. And you don’t even need a single follower! That’s what makes using this method awesome. You don’t have to grow up to 10000 followers before attracting 1000 readers a day from Twitter . This simple method we are about to discuss breaks the rule. First, you get a few people to read your blog posts. On your articles, help your readers to tweet with attractive tweetable quotes. That’s it. It’s simple and very powerful. See this! What makes tweetable quotes on your articles effective? The main reason is that your readers develop interest in your quote and tweet for themselves without expecting any reward. They tweet based on relevancy and of course, most of these are real readers who believe their followers will be interested in what you share. Result: interesting relevant traffic from Twitter! How to create effective Tweetable Quotes & Phrases! You can go ahead and allow your readers to tweet your post titles using default social media buttons. This is the most effective traditional method but it’s high time bloggers started looking above normal. They only grab your post titles. No flexibility! However, embedding tweetables allows you to place them anywhere on your content body. Its flexibility allows you to add any text you want (quote) or graphics. Some top bloggers understood this and have been able to leverage the little-known effectiveness of tweetable quotes to highly attract social traffic. Please click to tweet this image! Neil’s statement is a huge endoresement to the effectiveness of tweetable quotes and phrases. If this works for him and so many others, there is therefore reason for you to give it a try. Come up with attractive and relevant tweetable quotes and phrases! Use the most flexible ‘Click to Tweet‘ plugin. I highly recommend using TweetDis. I’ll tell you why in a moment. If you want to seduce your readers and cause them to click, your tweetable quotes and phrases most be attractive and relevant. They wont just tweet because they are tweetable. 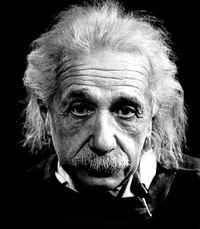 You may use quotes from renowned figures except they are not relevant. Use 2 or 3 tweetables on a single post (depending on the article length too). Make your post article a tweetable. If you add more than 1 tweetable quote or phrase, I recommend you use different templates and design. With TweetDis, you have over 10 different templates so that makes it a perfect recommendation for this method. If you don’t have a plugin that allows you to tweak the way you want, you may not have big success with this strategy. They are lots of ‘Click to tweet‘ plugins out there but my findings place some of them on a very limited scale. What am I looking for in a great click to tweet plugin? Plugin that can allow me use different templates on single post. These are some of the features I seek in a more complete ‘click to tweet’ WordPress Plugin and from practical experience, TweetDis is a perfect option. The first thing you should do after installing TweetDis is make sure it is well set. The default settings are almost good to go with except you want to get it more personalized. Note that for each of the 16 different templates, you can do a lot of changes to fit your design. This is what makes this plugin my top choice. Once you have the plugin setup, adding tweetables to your article is as simple as ABC. A new icon will be added to your post composition tool bar. Then, click the TweetDis icon on the tool bar. Here is where you determine what your tweetable text or image looks like. Once you click the icon on the toolbar, this is the window that pops up. The “Box” is used to make any selected text tweetable. The Box design will depend on the template you select (see 2 on the image). Now, there are 16 different exceptional designs. You just have to pick any that fits your design. You also have the possibility to do some changes to any of the 16 templates. Do you want targeted traffic from Twitter even with just 10 followers? You want their money? Meet their needs! These are just some of the box designs that are available. You see it’s not the plugin that limits you. It’s maybe your creativity or thinking capacity. The “Hint” simply allows you to make phrases or text within your paragraphs tweetable. Here is an example – > How to get Quality Blog Traffic From Twitter with ZERO Followers! Definitely, not all of your blog visitors want to share your content immediately. But what if there is a small piece in it that catches their attention? And all of a sudden, they feel the urge to share it? You can apply the “Hint” design anywhere on your article without worrying about it affecting your page formatting. You are also able to change the tweetable text background to fit your design. The “image” feature allows your readers to tweet an image on your article while linking back to your blog from Twitter. We certainly know the power of images or visuals on Social Media which is now a highly visual medium and these days people are much more interested in seeing information rather than reading it. Inserting tweetable images on your articles is indisputably a mighty step towards attracting more readers from the social media society. TweetDis allows you to choose from 6 different image templates which are different from the 16 box templates I mentioned above. This is remarkably simple and effective. Let your audience speak for you. Give them different ways to tweet your article. Remember, this doesn’t depend on how many followers you have. Leverage the power of tweetable phrases, quotes and images to step to the profiles of your readers with your content. While I recommend you go grab your copy of TweetDis, please drop a comment let me know your thoughts on have tweetable contents on your blog post. Please, share this post with your friends on social media too. I’ll really appreciate. Hello Sir Muki, Thanks for sharing with us this great tips. You article is really eye-opening. My traffic from facebook, direct sources and other websites supersedes my twitter traffic. However, I noticed a spike in twitter traffic when I started using tweetable quotes in my articles. People always prefer to share the tweetable quote than the name of the article itself. I have never tried tweetDis. I will check it out now, especially after the wonderful tutorial you just gave. Thanks for sharing this. It came at just the right time. Wow! that’s another vote in favor of tweetable quotes. Yeah you are right in that people prefer them to post titles. I actually know of this plugin by Tim Soulo and its an amazing one. I plan to get tis plugin once i get my hands on some of my earnings for this month. Thanks for the reminder. The plugin looks great. What better way is there than using a single stone to kill 3 huge, grey birds? Do have a most productive week, Enstine! Thanks a lot for sharing these wonderful techniques! As I’m working on a new blog and I really need some tips to get some high quality with social signals! This is just amazing and the plugin is looking good. I will surely try this plugin because I am always looking for more traffic. So, thanks for this update from you. THANKS for sharing aa Awsome info. From now on I will definitely use tweedis in each my post on my blog. I’ve been noticing those good looking tweet boxes all over the internet but never cared to find out the tool behind the magic. In other words, this is the first time I’m hearing about TweetDis and it seems to be a very useful tool judging by your review and of cause, I always trust your judgment :). I’ve used Click to Tweet in the past and it worked out so well, just that I don’t like the idea of copying a content over to their site for them to give me the code I’ll in turn place on my site, it makes the whole process so boring and that’s exactly what made TweetDis superb. I’m sure going to check out man. Thanks a bunch for sharing and happy new week. TweetDis is far off in terms of features and I think every wp blogger should give this a try. What do you also think? Enstine, I love tweetable quotes, they are usually great to share as long as they are not too long. I find some that are too long and it’s gets frustrating cause you share them via the Buffer. I do enjoy them and use them myself at my blog as well now. I haven’t used the plugin that you have. It seems like there might be some advantages with that one over some of the other ones. I love this plugin because of its flexibility. I don’t know about the one you have but TweetDis is worth checking. You sure have given me quite the education here and I thank you. I do see those “tweetable quotes” on many blogs and it is one of those things on my to do list after some priorities. Although I don’t do much on Twitter, but share, there was a time a few months back where I had a VA handle my Twitter and I did see a large spike in my blog. But she had to move on. I know how powerful Twitter is, but this plugin sounds amazing. I’ll be looking into it a bit more, but going off to share this post right now! I wait to see it at work on your blog. That’s a great review. I’ve only just started using “Better Click to Tweet” after I had a problem with a similar but different plugin. However I can confirm that, although it’s behaving well at the moment, it doesn’t have all the features that you describe in your review of TweetDis. I’m currently snowed under – yet again – with “stuff”, but I have added TweetDis to my “to-do” list. Thanks for pointing it out. So sweet to have you around again and thanks for dropping another comment. I’ll take a look at “Better Click to Tweet” However, TweetDis is the most complete and I’m with Tim again to add some more cool features. First of all thanks for sharing some great tips in shape of this lovely post. Indeed every webmaster is pretty much conscious about the traffic of ther website. So, for this purpose they adopt several techniques which are useful in this scenario. And You have shared with us some spectacular tips which are beneficial to get more traffic through Twitter. That’s the most detailed and comprehensive review of TweetDis I’ve seen to date! Hey Tim, you’ve come up with a great product man and I appreciate you being open. The plugin is far better now and I know more is coming to it. I’ve got some few more suggestions but we’ll talk that out over skype. Compelling title! Well I just jumped to the article once I saw the title. To my surprise you’ve compiled a great article with awesome tips. Great article to get traffic from twitter. I will be good if you suggest the names of few @click to tweet” plugins. However, it is easy to find, but I wanted your recommendations. Anyways, I am going to embed the tweets into my blog posts. Let us see what will be the results? Neat post idea, Enstine! Nice job. I’ve recently started integrating more click to tweets thanks to the Social Warfare plugin, and they’ve definitely been helping a ton. Yes this has a positive impact as we can see from stats. I think I heard about That plugin before but I don’t know if it has as many templates as TweetDis. I’ve noticed a lot lately the many bloggers have been using this tool or something similar. I actually started adding ‘tweet this’ links in my posts and it has helped a lot. I can imagine how having something as conspicuous as ‘Click To Tweet’ button within your posts can generate a lot of twitter traffic back to your blog. It’s one easy way to help your readers tweet your posts. Like I mentioned, you don’t only rely on the title of your post. Quotes and other catchy phrases will attract more tweets and more traffic. Anyway,I have been using Justretweet,Retweetly,Easyretweet,etc,and they are all nice tools to drive more retweets,followers and favorites to one’s social media account.But you something ?.Guys are out to innovate something that should be better than things already in use.That’s an advancement in technology.Oe should give this very plugin a trial. I remain grateful to Muki for this very information.It’s worth trying out. TweetDis is cooler because on one tweets for a benefit or reward. That’s what makes it more effective. Knowing and targeting the right audience is always a challenge — one that requires regular tweaking. I completely agree with the importance of the quality (a.k.a. relevance) of followers, but who can deny the seduction of a huge following? It poses a dilemma! I love this post and these tips are awesome. Although, JustRetweet in a way made me to grow my followers but I agree that Tweetable quotes will do better. You have sparked an idea in me. Thanks for sharing. Take Care bro. JustRetweet and EasyRetweet are awesome. That’s why I created EasyRetweet in the first place. Thanks for showing up and for the feedback bro. Great piece of advices! Spot on! I am seeing tweetables around many blogs so I believe it’d be a great addition to my blog. I use the Click to Tweet but it takes out whole paragraph of text in embedding. The in-text tweetables are looking good to try out! Thanks for the post, Enstine! I am so happy to share it! Give it a closer look. You won’t be disappointed. Thanks for your feedback and do have a wonderful weekend. Wonderful trick to get Blog Traffic From Twitter with ZERO Followers by Retweet. You also shown us how to create retweetable quotes. I think its very useful technique for getting traffic. Thank you for the comprehensive review of Tweetdis, been using it for over a year now and much thankful to Tim Soulo for creating it. If you remember, we did a campaign on GuestCrew along with a giveaway of this plugin few months back. Tweetdis is giving us amazing results, we have received over 1000+ tweets on one of our blog posts mainly due to this plugin – even the influencers love it, we still keep getting some tweets on the post every day. Tim is adding stuffs to it and I’m glad he listened to me when I made some suggestions. I’ve heard about JustRetweet but I have no knowledge about the rest. You make It sound so easy to install TweetDis, a WordPress Plugin. I’ve seen it in action on other people’s blogs. Thanks for the awesome information. I love TweetDis and its ease to use. I already proposed to Tim to do a free/trial version so bloggers can give it a try and experience its power. Very nice tool Enstine. I’ve seen a few of them, but not this one. The social buttons plug-in I use has a tweetable option, but it’s not as advanced or as flexible as the one you’ve mentioned. Sure don’t have the options I’d like. Nice to be able to set everything as you’ve shown. Problem is I don’t use tweetable’s as much as I should. Gotta get on the ball and get to making more huh? Thanks for stopping by today and dropping a comment. I just looked at Tweetdeck and found more and more tweets as a result of this plugin. My experience shows more tweets are coming on the quotes than on article titles. I think it’s something to really try out. Will be excited to read your experience on your blog. Twitter is top social platform so indeed we could reach out globally to lot of people. I have been using twitter since a while and I must I’m getting most of it. Thanks for sharing that feedback bro. You shared very interesting and useful tricks. Actually I am a beginner in blogging and this informative article is really helpful for me. Thanks for sharing this. so the plugin itself does not bring the traffic. It just enables you to select content which is then made very “Tweetable’. This encourages people to tweet your post. The more people that tweet your post the more likely you will get traffic from those tweets. Yes that’s actually how it works. The beauty is it allows you to get very targeted and cause your readers to tweet for you. Do you have a similar plugin? Actually I don’t Enstine. I have noticed that Holly Jahangiri also seems to be using it. I have to admit I am tempted to give it a go. This is my first time of hearing about this plugin. From your explanation, it’s really a great tool that worths giving a try. Wow Enstine, that is amazing. I’ve actually seen this on one other site where the author had tweetable quotes throughout the article. I though that was pretty cool but it never registered in my mind that setting up the article like that was a way to drive more visitors. I’m going to try this going forward. I just signed up for Twitter and have zero followers so this sounds great! Thanks for sharing this, Enstine. Awesome piece of information. Excellent way of explanation. I have using other plugin’s for past 2 years. I never tried tweetDis but after this informative explanation I am sure I will check it out now. Definitely I have read a unique thing in your blog, have found you in my twitter feed. Can you tell me if it can be used in Blogger? Great post thanks for sharing. I plan on trying TweetDis soon. This is really a great piece of information. with this method we can get lots of follower and traffic. First time, I learnt something new that I never though, Really unbelievable. You really rock man, I really appreciate you only for your work. Thanks for sharing the post, please i hope social media traffic does not affect blog seo negatively. becasuse learnt backlinks from social media are no longer refereed by google thanks.